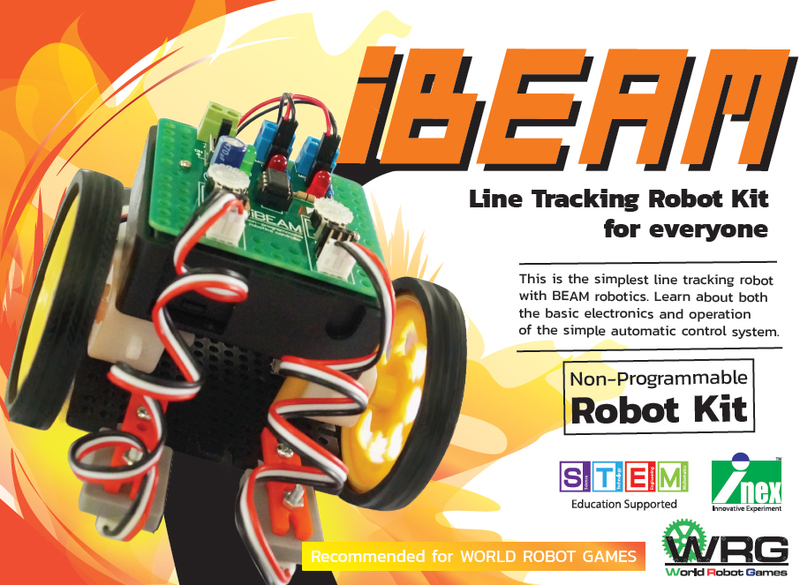 iBEAM robotics is a style of robotics that primarily uses simple analogue circuits, such as comparators, instead of a microprocessor in order to produce an unusually simple design. While not as flexible as microprocessor based robotics, BEAM robotics can be robust and efficient in performing the task for which it was designed. Robots that use both analog and microprocessor electronics are known as ?mutants?. BEAM robots may use a set of the analog circuits, mimicking biological neurons, to facilitate the robot?s response to its working environment. The word ?BEAM? in BEAM robotics is an acronym for Biology, Electronics, Aesthetics, and Mechanics. 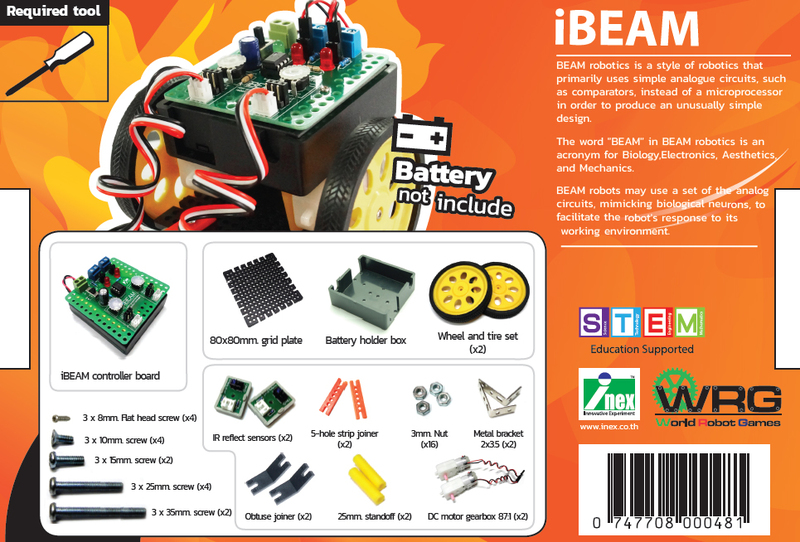 More information about BEAM robotics visit http://www.beam-wiki.org. about both the basic electronics and operation of a simple automatic control system. 2 analog sensor inputs suitable for any analog sensor. 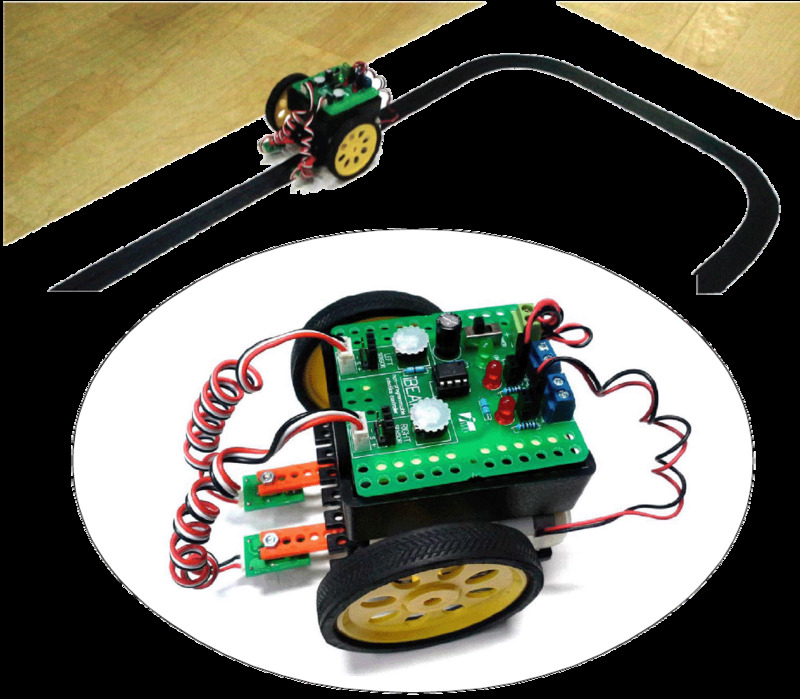 Line tracking sensor is recommended for iBEAM robot. 2 sensitivity knobs. It is used to adjust the reference voltage. 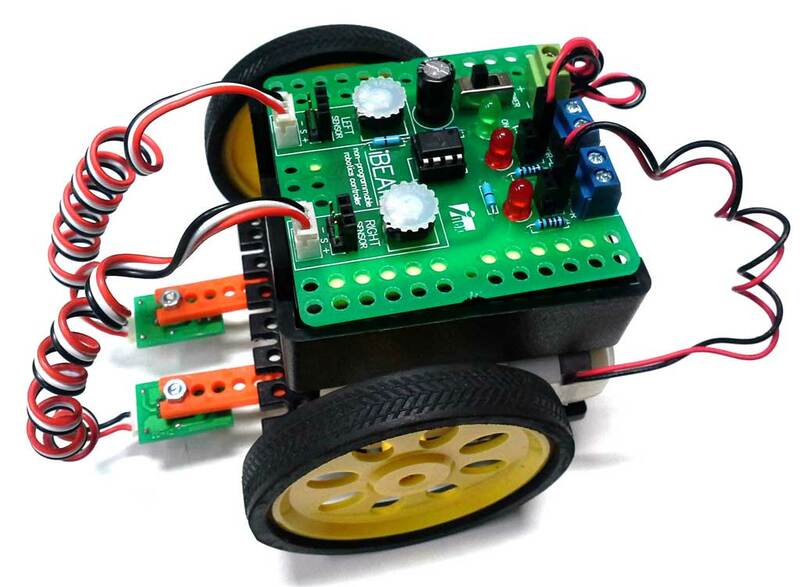 Uses L272M; the power Op-Amp for driving DC motor. Wide range supply voltage +3 to +9V.